On January 16, 1978, NASA selected its first group of new astronauts since 1969. This new class of 35 astronaut candidates was named Astronaut Group 8, but colloquially referred to as the “TFNG: 35 New Guys”1 While there were 35 members of the class, for the first time they couldn’t all be referred to as “guys”. Astronaut Group 8 would produce many firsts in the way of diversity: the first African-American in space, the first Asian-American in space, and the first Jewish-American, among others. 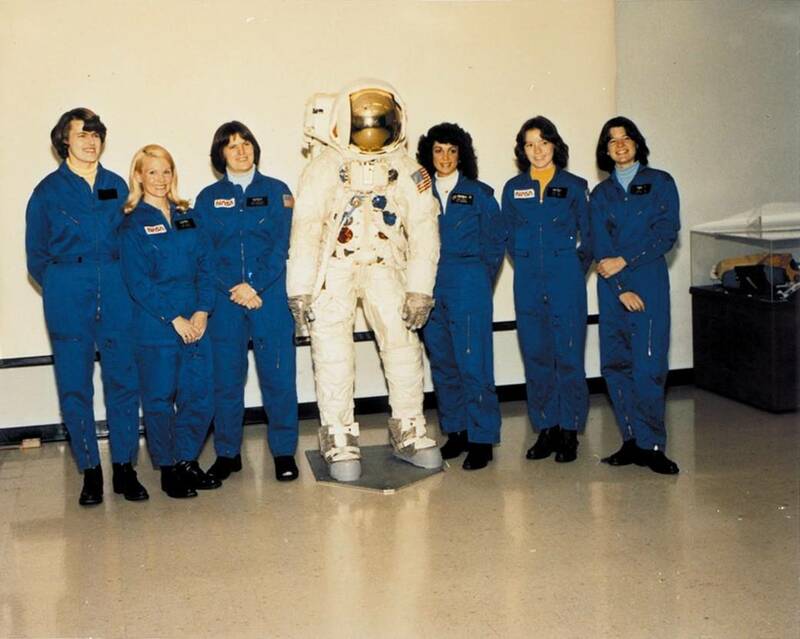 Today we highlight the six women of Astronaut Group 8: Shannon W. Lucid, Margaret Rhea Seddon, Kathryn D. Sullivan, Judith A. Resnik, Anna L. Fisher and Sally K. Ride. These would become America’s first female space explorers. Out of the six women of Astronaut Group 8, Shannon Lucid spent more time in space and flew on the most spaceflights. 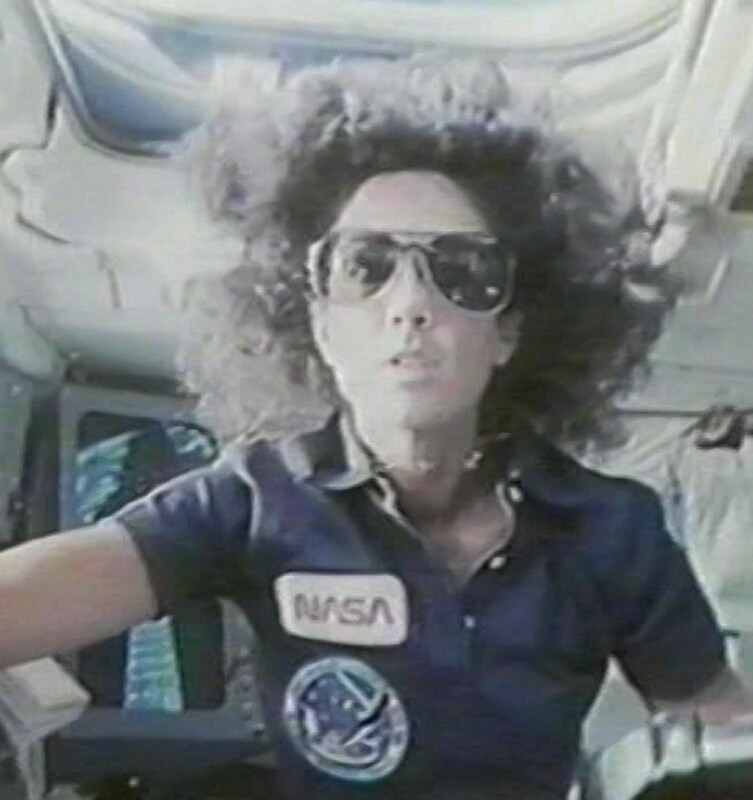 By the time she retired from NASA, she had flown to space on five separate flights and held a number of NASA spaceflight records as a result of her prolonged stay on the now-extinct Russian space station, Mir; Lucid was the only American woman that had the honor of serving upon Mir. In 1996, she became the first woman to receive a Congressional Space Medal of Honor which are awarded to astronauts “who in the performance of his duties has distinguished himself by exceptionally meritorious efforts and contributions to the welfare of the Nation and of mankind”. (Uhh, “his” and “himself”? Ahem!) Of the six women in her class, Lucid was the only mother at the time of selection into the astronaut program (though, she wasn’t the first mother in space… we’ll get to that in a minute). Lucid spent a total of 223 days, 2 hours, and 50 minutes in space during her career. After her tenure as an astronaut, Lucid served as NASA’s Chief Scientist from February 2002 until September 2003. She also served as CAPCOM during numerous Space Shuttle and International Space Station crews. She retired from NASA in 2012. Margaret Rhea Seddon was the first medical doctor to travel to space. During her years as an astronaut, she flew on three separate missions. Her medical expertise was invaluable for the numerous experiments that she worked on during her missions in space, as well as the research she conducted on Earth. In 1981, Seddon married fellow Group 8 astronaut Robert L. Gibson and the two became the first active duty married astronauts. During her three space flights, Seddon spent a total of 30 days, 2 hours, and 21 minutes in space. Her responsibilities during her 19 years at NASA included: helicopter search and rescue physician, serving on the NASA Life Sciences Advisory Committee and the NASA and International Bioethics Task Forces, and in-flight medical operations. While an active-duty astronaut, she continued to work part-time as an emergency room physician in various hospitals. Seddon retired from NASA in 1997, remaining active in the medical community. Kathryn D. Sullivan made history in 1984 when she became the first American woman to conduct an EVA (extravehicular activity), spacewalking for 3-1/2 hours to demonstrate the feasibility of satellite refueling. This accomplishment came on her very first trip into space, during STS-41-G. In total, Sullivan visited space during three missions: STS-41-G, STS-31, and STS-45. STS-31 was an especially important mission, as they carried the Hubble Space Telescope into orbit, deploying it at an orbit altitude record at the time, of 612 kilometers (380 miles). Her work on STS-45, her final space voyage, included a number of research experiments as part of the Spacelab mission dedicated to the NASA ‘Mission to Planet Earth’. The results of that research provided a wealth of information about Earth’s climate and atmosphere. During her three flights, she spent a total of 22 days, 4 hours, and 49 minutes in space. In 2014, Sullivan was confirmed by the U.S. Senate to serve as the Under Secretary of Commerce for Oceans and Atmosphere and NOAA Administrator. In 1984, Anna Lee Fisher became the first mother in space. You might not immediately realize the significance of this, but I think it’s an important first. In the 1980s women were still fighting to be considered equals among men in the workplace. Much more so than now, moms were generally expected to stay home and raise the children while the fathers worked. So here you have a mother that not only does everything a mother does, but she works hard, trains to become an astronaut, and travels to space. Cracking the glass ceiling? More like smashing through Earth’s atmosphere! Fisher is also extremely educated: she earned a Bachelor of Science in Chemistry in 1971, a Doctor of Medicine in 1976, and also earned a Master of Science in Chemistry in 1987–all from UCLA. During her single flight, she spent 7 days, 23 hours, and 45 minutes in space. As of 2014, Fisher was listed as a management astronaut with NASA and was working on NASA’s next generation crewed space program, among other duties. 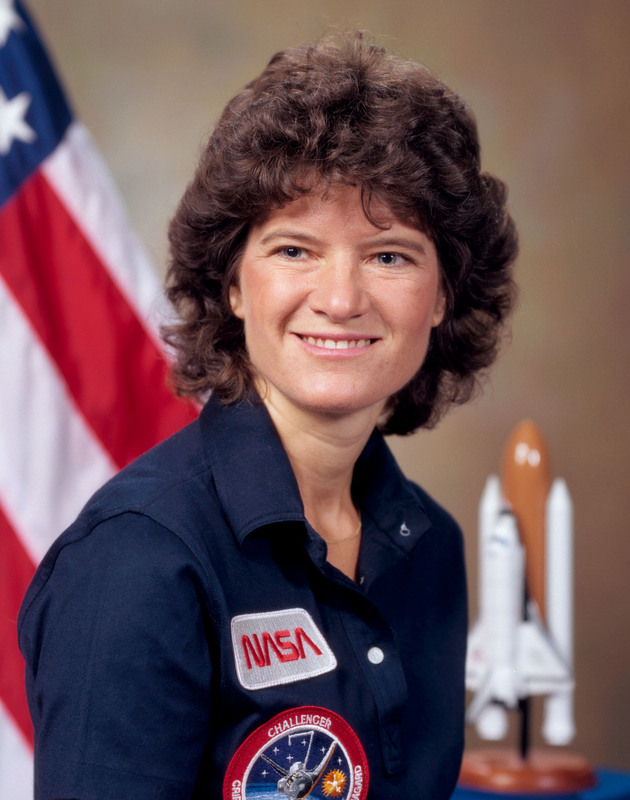 Sally Kristen Ride made history on June 18, 1983, when she became the first American woman in space (Russia put the first two women into space: Valentina Tereshkova and Svetlana Savitskaya). On that mission, STS-7, she also became the first woman to operate the shuttle’s robotic arm and the first to use it to retrieve a satellite from orbit. She flew a second flight in 1984, STS-41-G, with fellow Group 8 member Kathryn Sullivan. During her two missions, she spent a total of 14 days, 7 hours, and 46 minutes in space. In elementary school, there (were) lots of girls who were interested in science, and that’s true today. For whatever reason, I didn’t succumb to the stereotype that science wasn’t for girls. I got encouragement from my parents. I never ran into a teacher or a counselor who told me that science was for boys. A lot of my friends did. Ride was always humble about it, but she was, and still is, a true inspiration to millions. Ride passed away on July 23, 2012, while battling pancreatic cancer. Not all of these stories have as happy of an ending as one would hope. 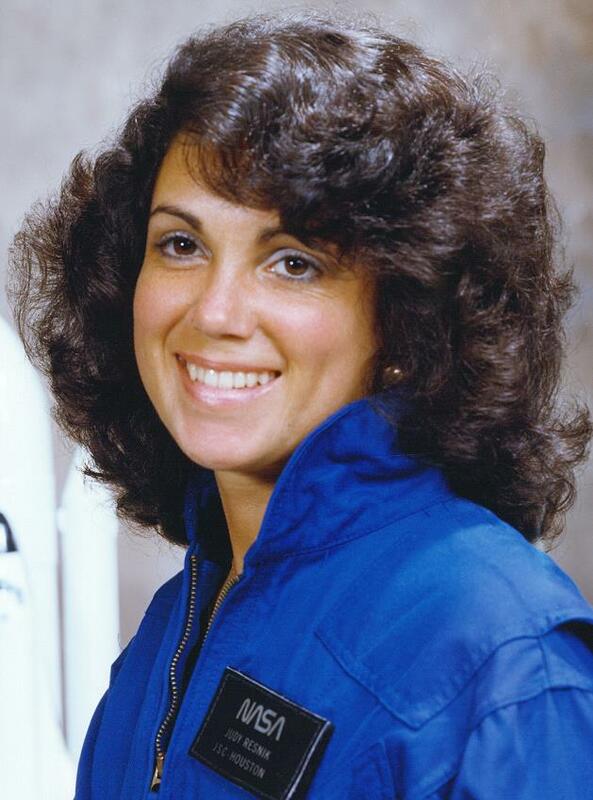 On her second Shuttle mission, Judy Resnik was assigned to STS-51-L aboard Challenger. 73 seconds after lift-off, Challenger’s rocket boosters exploded and the orbiter broke apart. All seven members of the crew lost their lives. Resnik earned a Bachelor of Science degree in Electrical Engineering from Carnegie-Mellon University in 1970, and a Doctorate in Electrical Engineering from University of Maryland in 1977. Resnik’s first flight (STS-41-D), in 1984, made her the second American female in space, and the first Jewish-American in space. That mission had the crew deploy three satellites into orbit, as well as deploy the OAST-1 solar array. The array, once unfolded, was 13 feet wide and 102 feet long–“it’s up, and it’s big!” she reported to mission control. When folded, it was a mere 7 inches deep. The array demonstrated the feasibility of large lightweight solar arrays in space. Her total time in space as a result of that mission was 6 days, 56 minutes, and 4 seconds. Resnik was posthumously awarded the Congressional Space Medal of Honor. 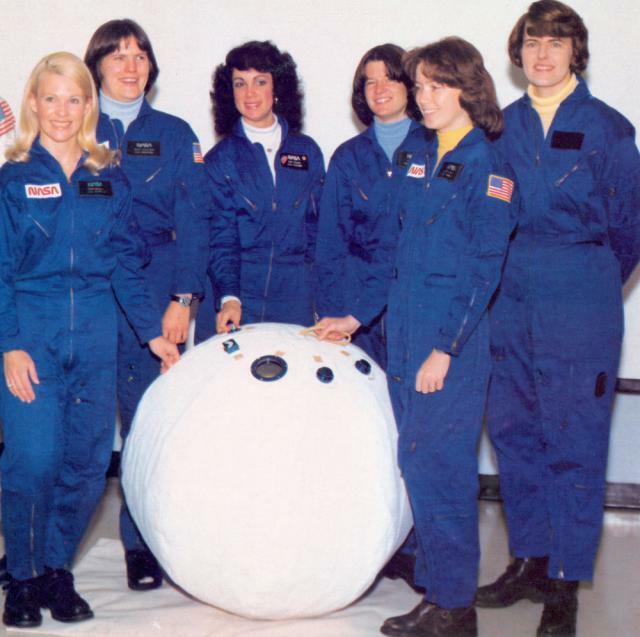 As of May 2015, nearly 60 women have flown into space. Along with Russian cosmonauts Valentina Tereshkova and Svetlana Savitskaya, these are the women that demolished barriers and showed the world that anyone that had the drive and work ethic required could make it in any industry that they desired to be a part of.